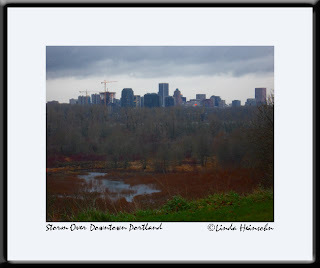 I love this view of downtown Portland from near our house. I also love the three-level look to this photo--the red of Oaks Bottom, the gray, bare trees, then the dramatic buildings of Downtown. You can see the hip, exploding Pearl District on the left where the cranes are.